I wouldn't have thought to pair mint & yellow together, but it's a great combination! Such a great jacket too. Girl, I am all about mixing up those colors. Too fun-the coat is one of my favorite finds, ever! I like your color-blocking! Your pants are gorgeous. They were SUCH a great find at H&M, which I'm usually not even a huge fan of. Thanks! Love the look! I can't wait to see more colors too! 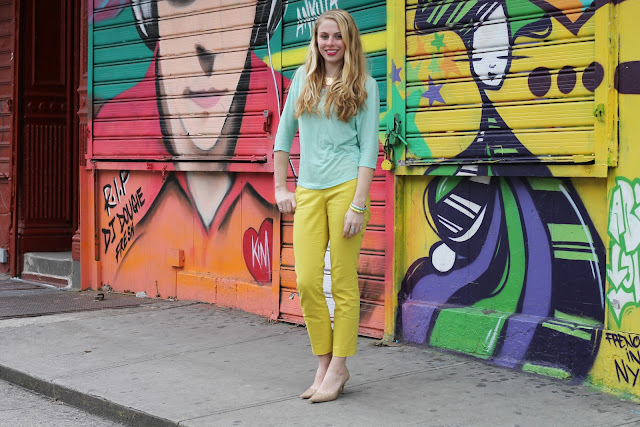 Love the mint and yellow combo, so fun! You're very beautiful and you have a great blog! I love that coat soooo much! And I love seeing you in heels, lady! So cute! 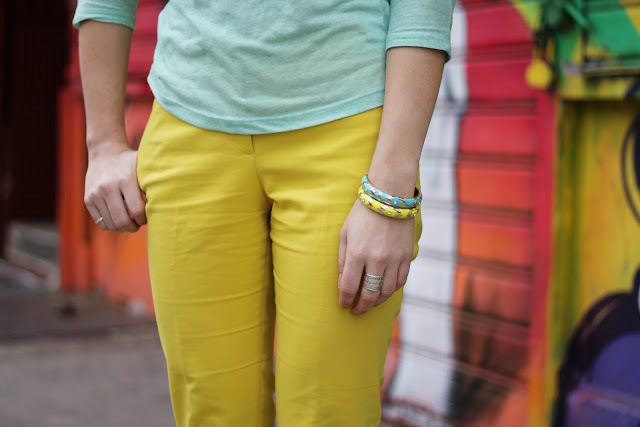 I'm loving this mint and mustard combo! Great look!